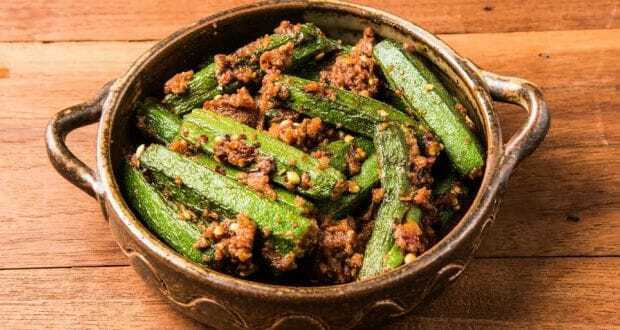 About Masala Bhindi Recipe | Bhindi Recipe: A delicious, spicy Okra made in a jiffy for a quick meal. Bhindi is a vegetable loved by kids and adults alike and is often made in north indian homes because how easily it can be made as a dry sabzi. A perfect side dish for lunch. 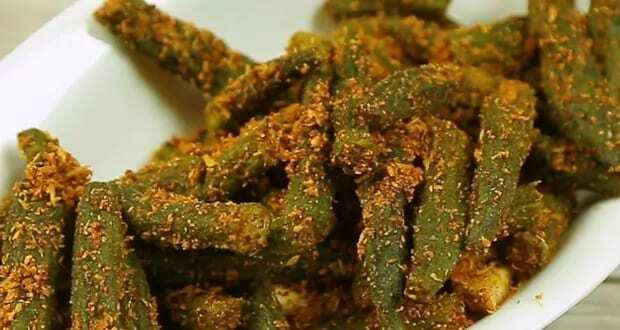 Ingredients of Masala Bhindi Recipe | Bhindi Recipe: Perfect blend of spices and authentic masale, this recipe of Bhindi is the delicious tossing of bhindi with a blemd of varied masale like aamchoor, jeera and saunf powder. 1.Heat oil add jeera and fennel seeds, let them splutter. 2.Add the onions and lightly brown them. 3.Add ginger and some water, stir. 4.Add the turmeric powder and stir again. 5.Mix in the bhindi. Pour in the rest of the water and continue stirring. 6.Mix in the bhindi well and add the salt. 7.Sprinkle fennel powder, amchoor powder and sugar. 8.Mix again and sprinkle the pepper powder. 9.Add the lime juice, stir well and serve. So spicy yet so tasty!